in this piece of work is granulated glass. I have experimented by mixing different colours to get the colours of the feathers that were in the chicken I was using as a subject. 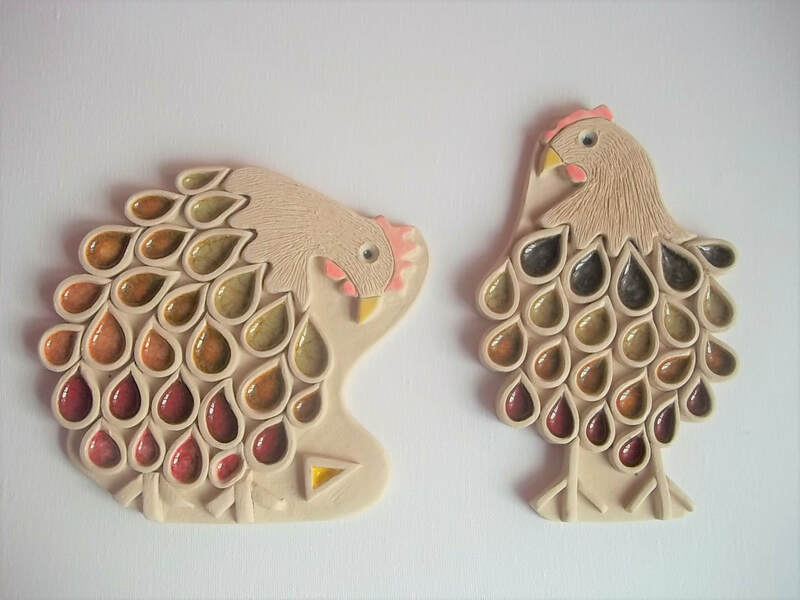 These Chickens are made of Clay and granulated glass. There is a story behind this piece of work. The chickens are called Cilla and Sally and they both love cheese. Cilla always gets there first, hence she is the fattest of the two !!! They live just up the lane from my home.